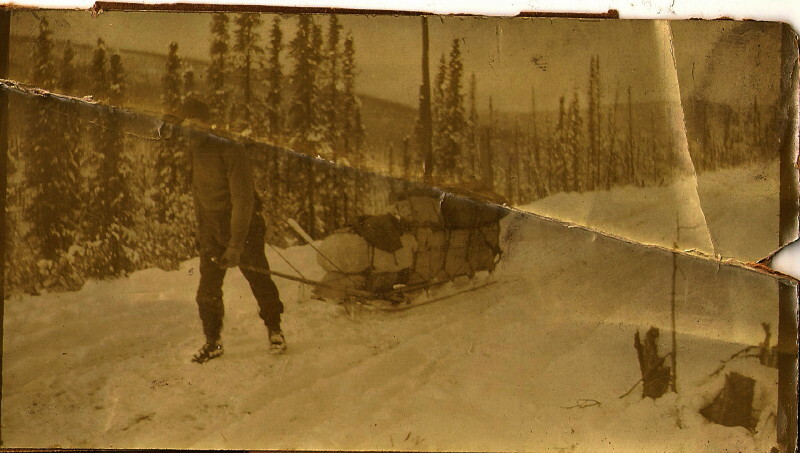 When I was a young boy, my mother and father used to tell me the story of Great Uncle Ted and his adventures in the Klondike Goldrush in the Yukon, Canada. I always found the story (albeit sketchy and perhaps embellished with family folklore) to be an inspirational tale. Especially as it had a tangible side, in that I knew that on "coming of age", I stood to inherit a tiny piece of that legend - a small golden tie pin that Ted had given to his sister (my Great Grandmother - Julia Cullinane) on one of his Christmas visits back to England. The pin (pictured right) is of a horse-shoe with a miners winch cradle and bucket, it is stamped "Dawson 14k" on the reverse. 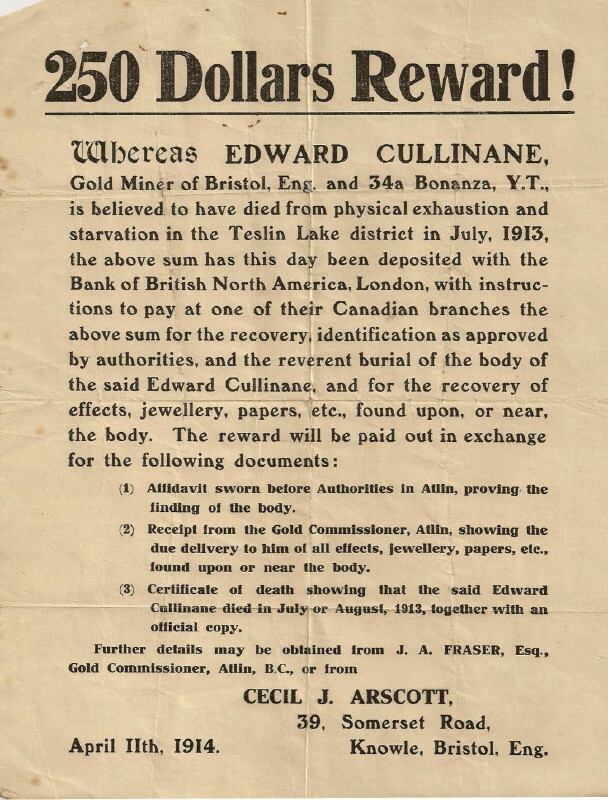 Edward "Teddy" Cullinane was born in 1873 into a large Bristolian family. His father, Timothy, an Irish immigrant, was a foreman in the Great Western Cotton Factory at Barton Hill, where his mother Eliza (a Bristol girl) also worked as a cotton warper. “City of Gold”, an award winning short film made by Pierre Berton in the 1950’s describing the history of the city of Dawson, and the story of the stampede for gold that created it. 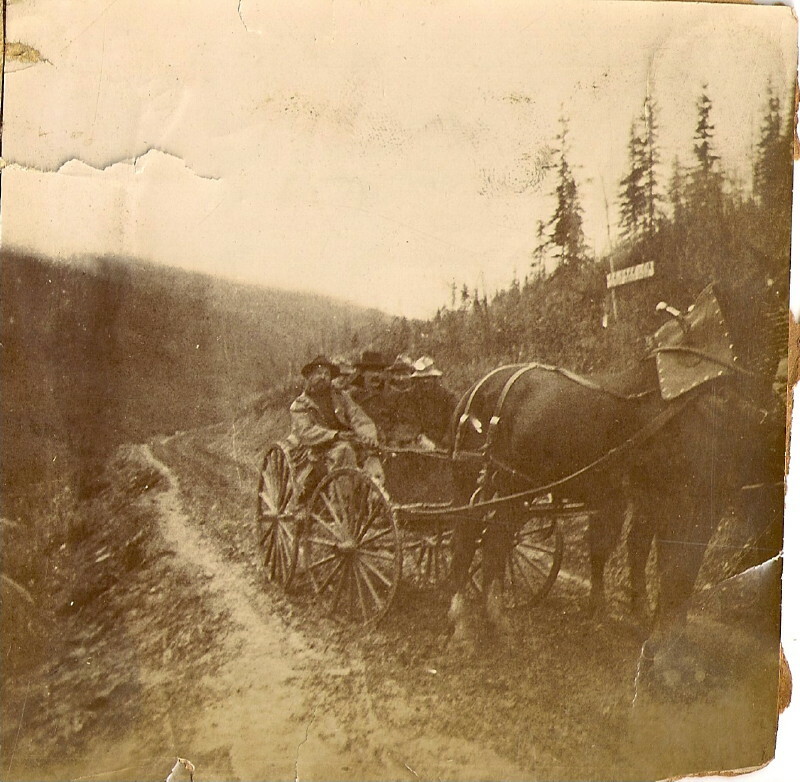 The route that Teddy took to get to Dawson City is not currently known, though it is thought to have been via the Chilcoot Pass as described in the film above. 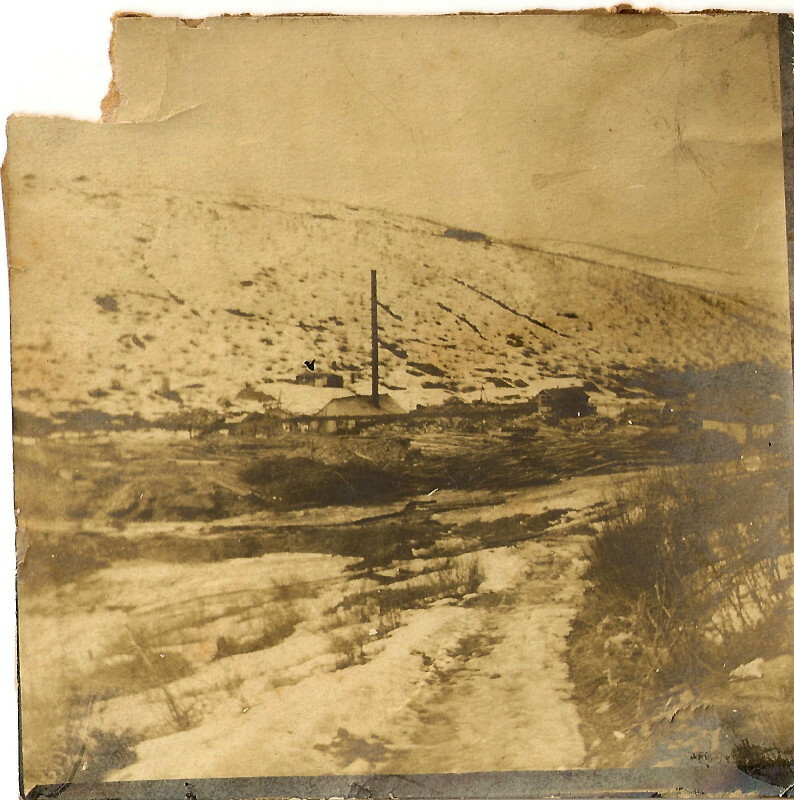 Amongst his photo's of the period is the commercially produced shot on the right of a tramway tower encased in ice, which suggests he had some connection to that route. Either way as the short film and article above describes, the fact he arrived at Dawson at all, is in itself an impressive feat! 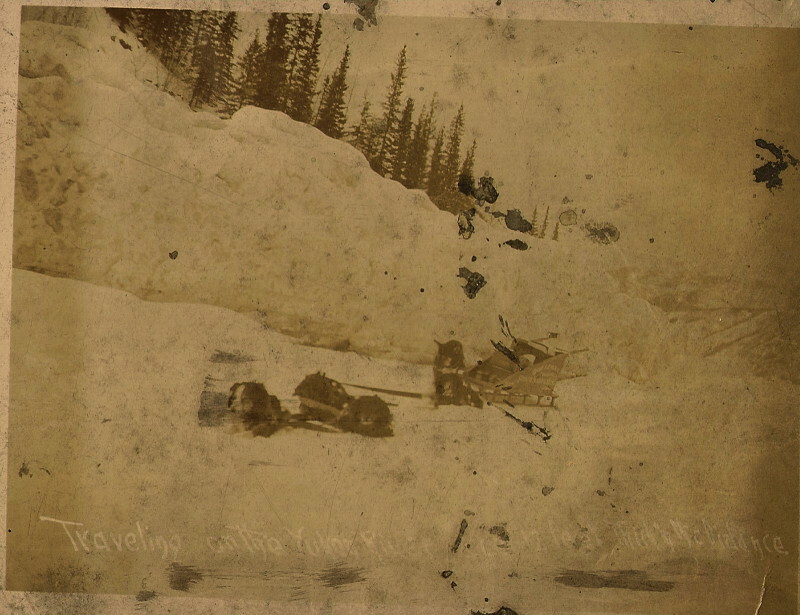 Teddy, like many other Cheechako's (as newly arrived stampeders were known), would probably have found that much of the land on the creeks and rivers around Dawson City was already subject to claims. So one would have to assume that he had to work as layman on someone else's claim at first, until he could secure a share in a claim for himself. We know he was partnered in claim number 13 on Eldorado Creek with EM White, William Dunham, William Sheets and James Higgins. 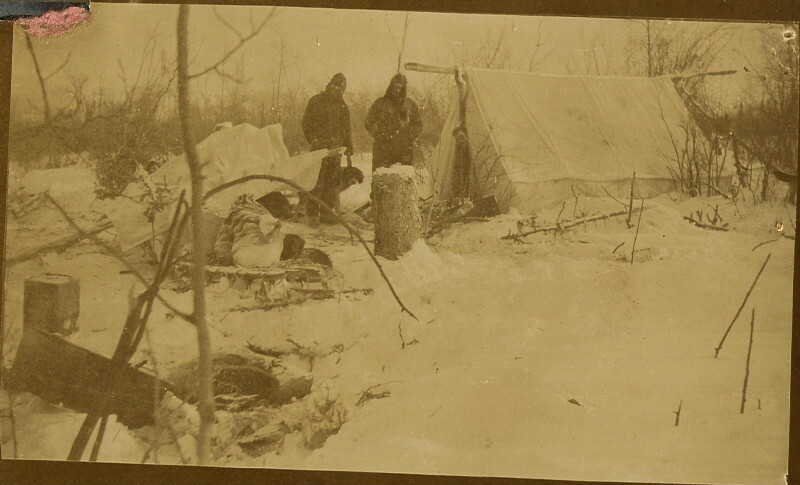 This was around the time that a photographer, Asahel Curtis was documenting Klondike life through photography. 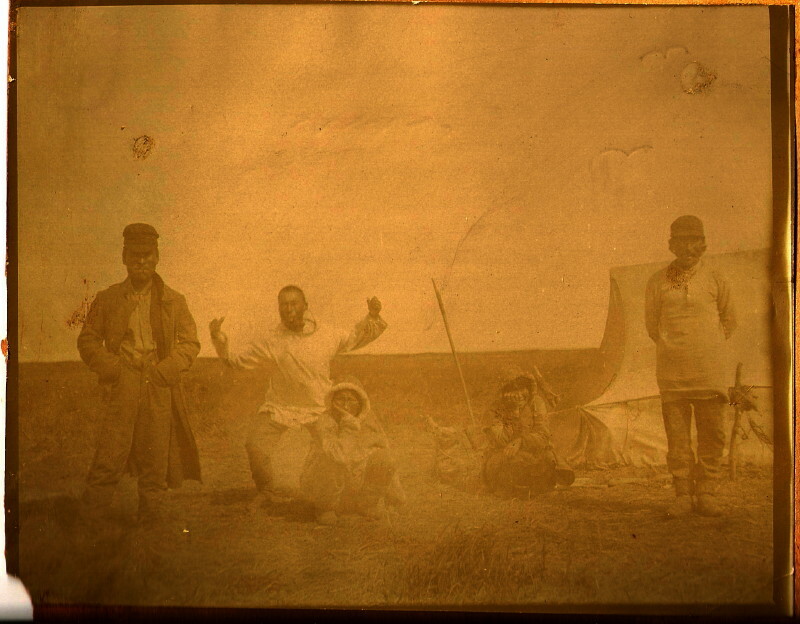 Is it possible that the man in the centre of this photograph (held by the University of Washington) is our Teddy? It seems the "13 Eldorado" claim began producing significant yields by 1902 as this Dawson Sun article “Big Dumps are the Fashion” (December 17th 1902) suggests. 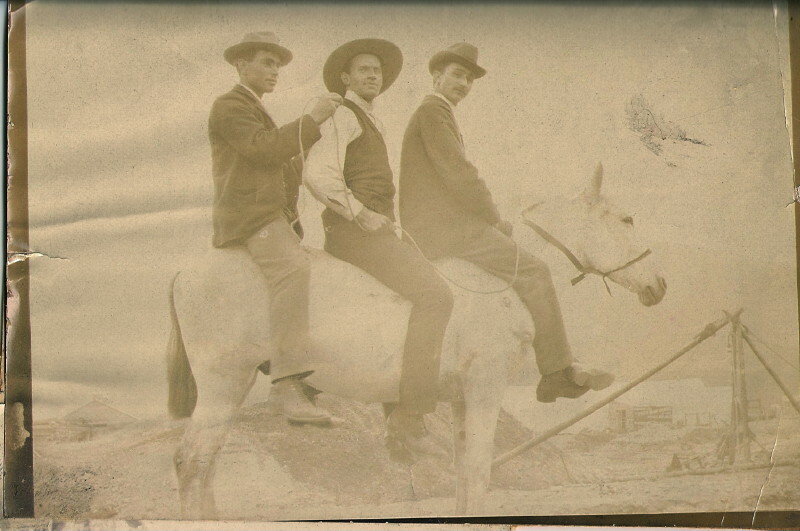 In the photograph to the left, it is believed that the man standing third from the left is Teddy. See for yourself... read the article "Takes Out Large Poke" (September 23rd 1903). The Dawson Sun article “Eldorado News” (September 24th 1903) also made mention of the boys of 13 Eldorado leaving to spend their winter (and presumably a portion of their gains!) on the "outside" as it was known to the Klondikers. 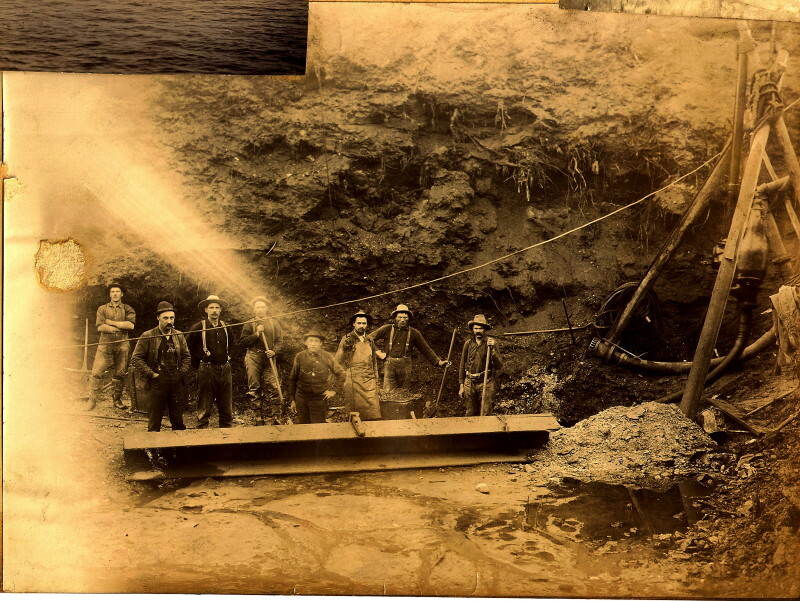 In addition Teddy owned the “Avondale” mineral claim - (certificate number 7705) which expired in 1907. (The name "Avondale" perhaps being a reference to the name of the road where Teddy grew up in Bristol - Avonvale Road, where his mother still lived). 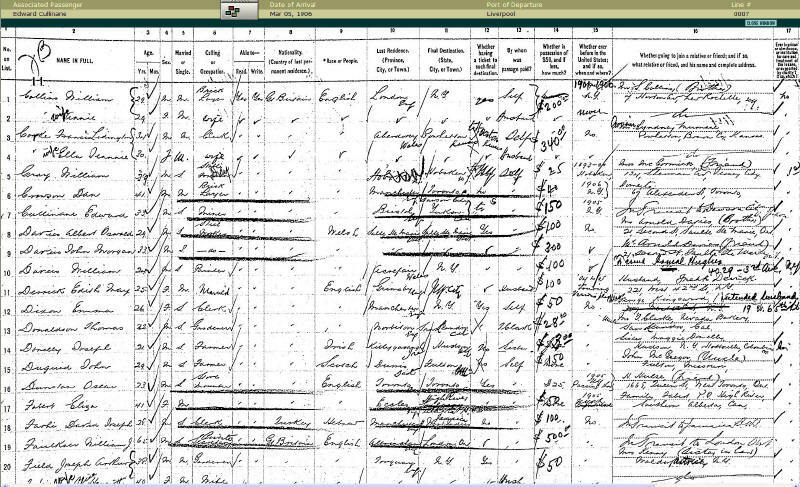 1906: March - Teddy returns from another trip back to England, sailing from Liverpool on the "Carmania" he is recorded (number 7 on the passenger list) arriving in New York City on March 5th 1906, in transit to Dawson City. 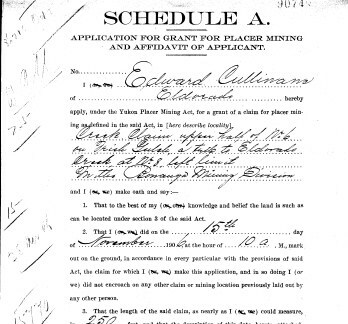 November - Teddy applies for a claim for placer mining on Irish Gulch (a tributary of Eldorado Creek); No.8 Left Limit. (See his signed application form on the right). 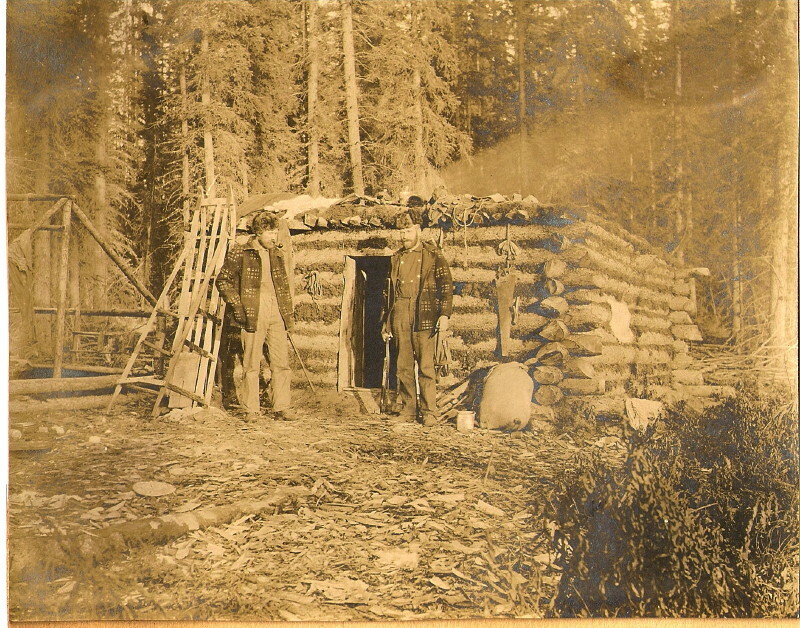 1907: Teddy purchases Irish Gulch - Creek Claim No.6, from Thomas Charlton on 28th April 1907. The claim must have been unprofitable by the time it was allowed to lapse on 6th August 1912, when it was relocated by Mrs Charlton. 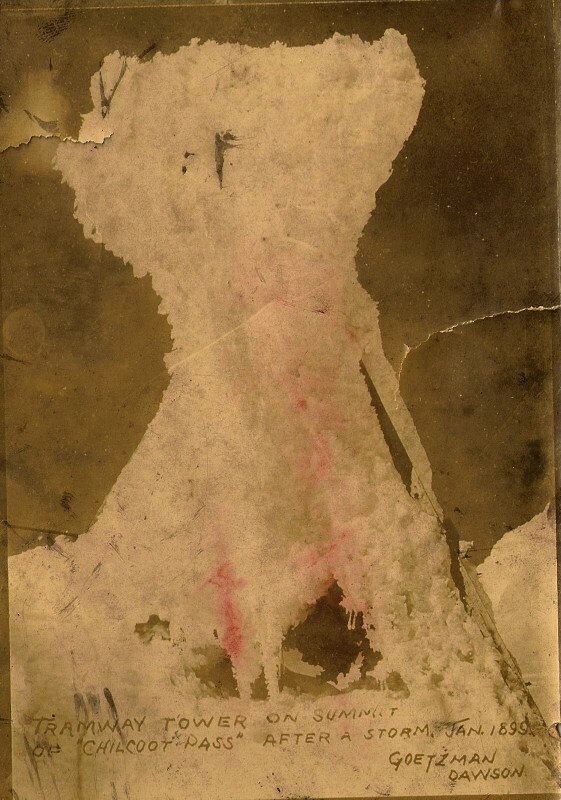 Click here to read a letter from Naish (July 14th 1914) to Teddy’s family describing the circumstances of Teddy’s disappearance, and of his own "miraculous" survival. 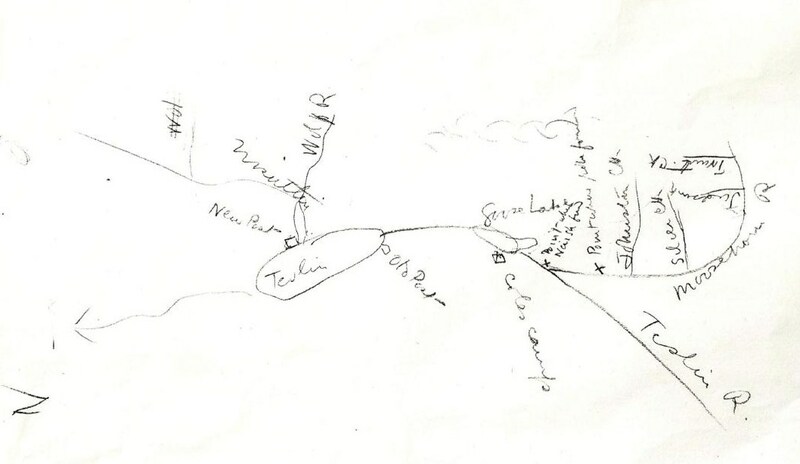 Naish's map of the approximate location is shown to the right. The Dawson Daily News reported the story under the headline “Traced A Lost Klondiker” (May 22nd 1914) after interviewing Forbes' on his return to Dawson. 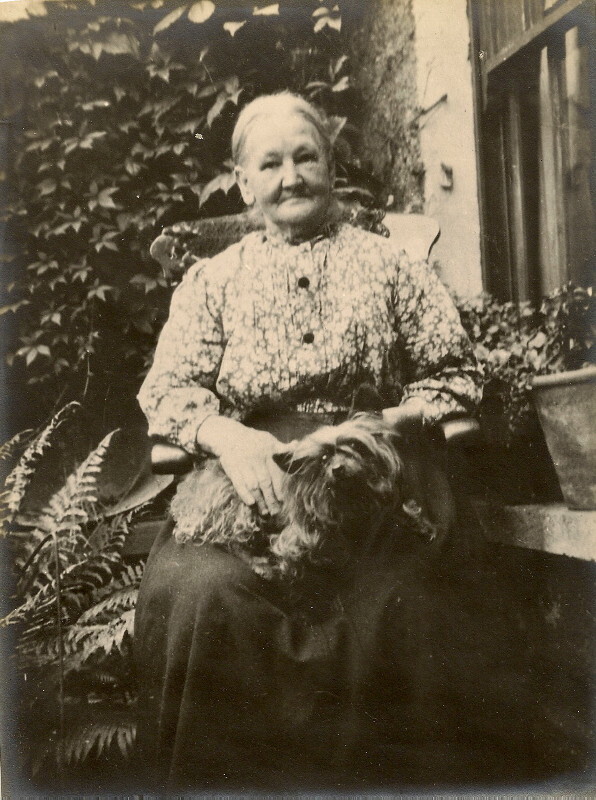 According to Forbes he later heard that some Indians had found Teddy’s dogs running free some distance from the campsite, but they to had failed to find any trace of Teddy. (This perhaps being the origin of the "family story" that suggested he had been eaten by his huskies!). 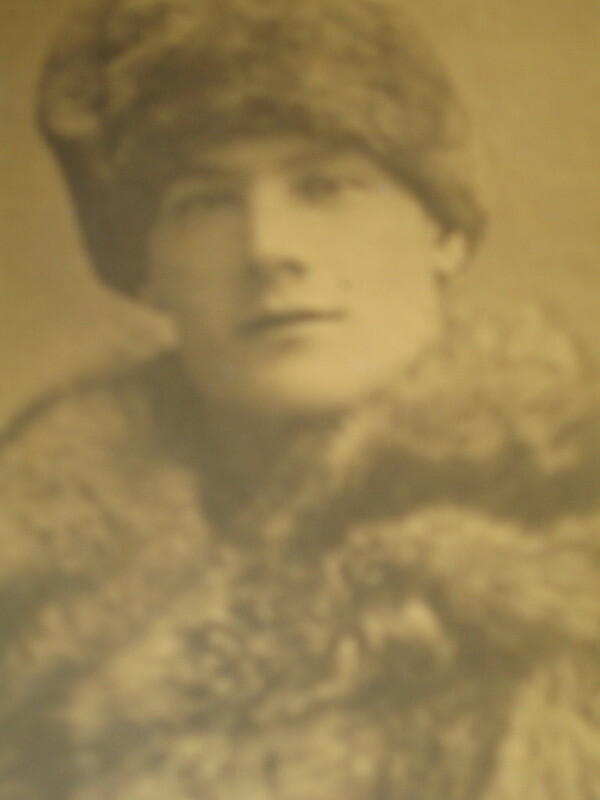 Back in Bristol, after his apparent death, Teddy's brother-in-law Cecil Arscott, spent a great deal of time writing many letters to the authorities in both Yukon and British Columbia on behalf of Teddy’s mother Eliza. By October 1917 Teddy’s hill claims in 33 and 34 above Bonanza were sold by the public administrator, although the value of the sale is not known. It is also not clear whether the funds were then paid on to Teddy’s mother who was still writing to the Canadian authorities in January 1919 asking for final details of Teddy’s estate. 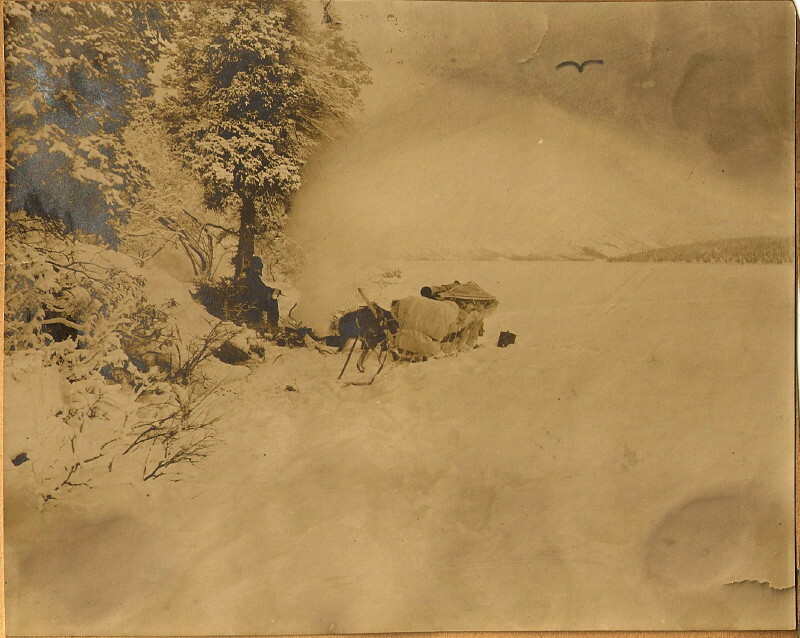 The file of letters held by the Yukon Archives ends here, so either everything was settled – hence no more letters... or Teddy’s mother became too frail to continue the fight. She died in 1923. Admiration for the courage to follow a dream; to stride out in to the unknown and face unfamiliar dangers... and then through wit, graft, determination (and I’m sure with a good measure of fun!) 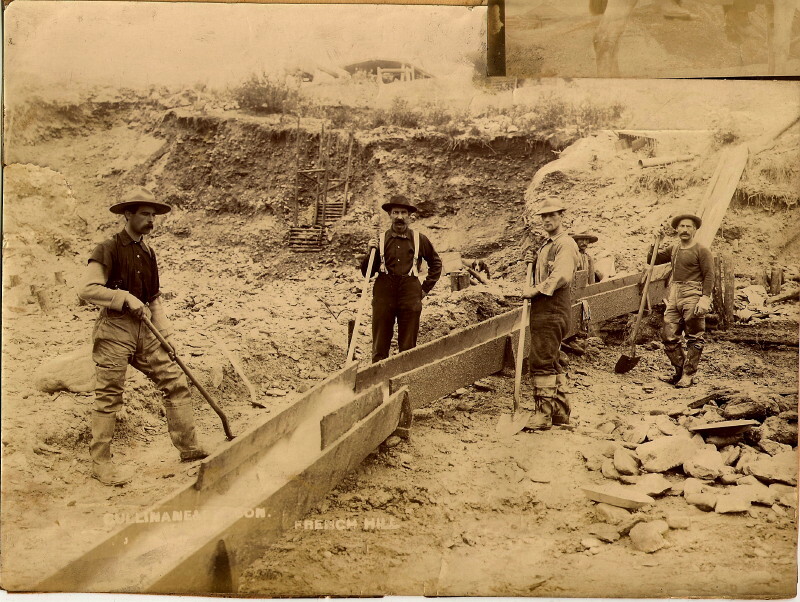 to have played a part, and even turned a profit in the great Yukon gold-rush adventure. I’m proud to count him among my ancestors. 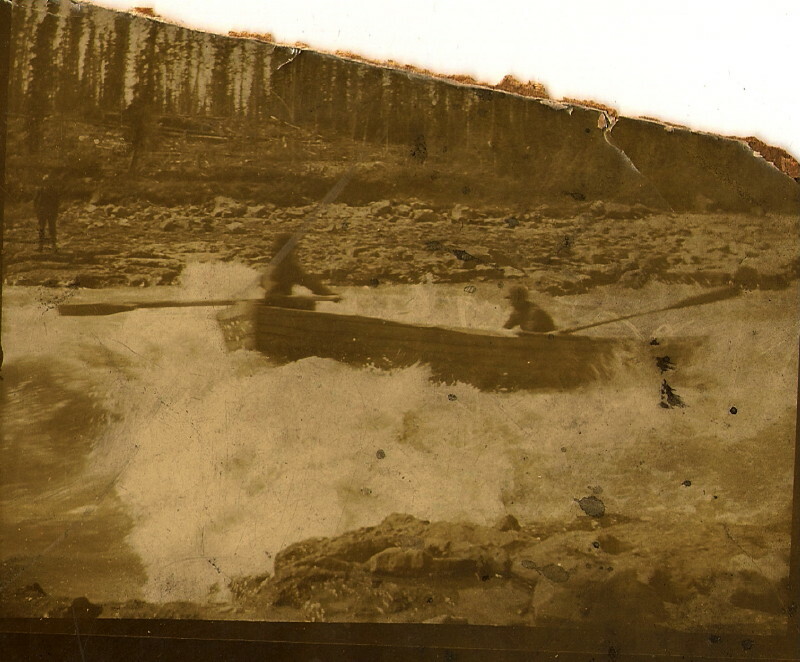 Teddy's story is told, with grateful thanks to the Yukon Archives in Whitehorse, Yukon; for providing copies of the large amount of correspondence that has informed much of what I know about Teddy’s time in the Klondike. Also with thanks to Google for the excellent digital images of old newspapers of the time, and to Youtube and Wikipedia (and the originators of the content linked to on those sites). All photographs displayed on this webpage are part of Teddy Cullinane's private collection and are the property of the author.